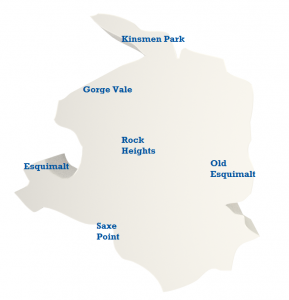 The township of Esquimalt sits just to the west of Victoria BC and is surrounded on three sides by water. Esquimalt has long been a mariner’s community with much economic activity centred on the shipyards and the naval base, CFB Esquimalt. In recent years, parts of Esquimalt’s waterfront which were previously underutilized, have been developed and the area continues to undergo improvement.